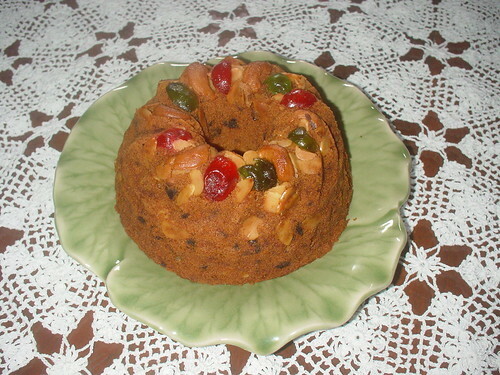 I am the only human being on the planet who truly, genuinely adores rum-soaked homemade fruitcake at Christmas (or anytime). Little old ladies who can’t give the stuff away to anyone else ADORE me. I particularly remember how Miss Rose Peevey, a friend of my grandmom’s, always made it.